Don Shirley (Mahershala Ali) was a promising prodigy whose formal training in classical piano began when he was admitted to Russia’s prestigious Leningrad Conservatory at the age of nine. Because he had the misfortune of being raised in Florida in the Jim Crow Era, it was very unlikely that his extraordinary talent would be appreciated anywhere in the South upon his return to the States. In the early ’60s, Don decided to throw caution to the wind by embarking on an eight-week concert tour across the Deep South. This would involve playing numerous “White only” venues where, despite being the headliner, he might not be able to dine or use the restroom. 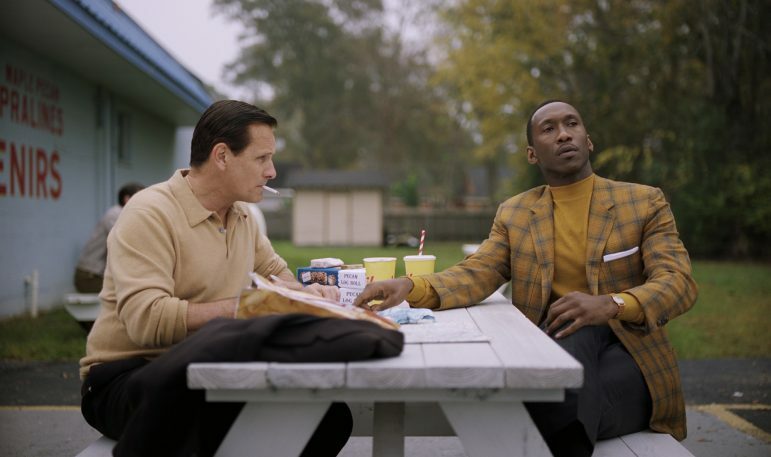 Mahershala Ali (right) and Viggo Mortensen star in Green Book. Courtesy of Universal Pictures Mahershala Ali (right) and Viggo Mortensen star in Green Book. Thus unfolds Green Book, a buddy flick based on a true story that revisits the unlikely friendship forged between a stuffy classical artist and his rough-edged driver in the face of their racial and class differences. The movie represents a bit of a departure for director Peter Farrelly, whose name has long been associated with lowbrow comedies like Dumb and Dumber, Shallow Hal and There’s Something about Mary. 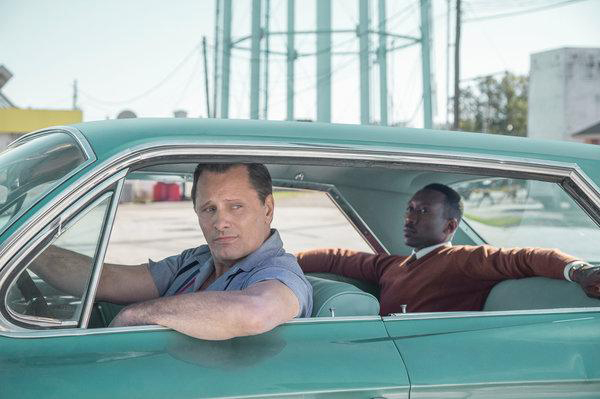 The relatively sophisticated Green Book proves to be far more reminiscent of Driving Miss Daisy (1989) than of Farrelly’s earlier bottom-feeding fare. In fact, the palpable chemistry generated by co-stars Ali and Mortensen will not be forgotten by the Academy come Oscar season. Green Book is a touching biopic with a timely universal message about brotherhood and tolerance.